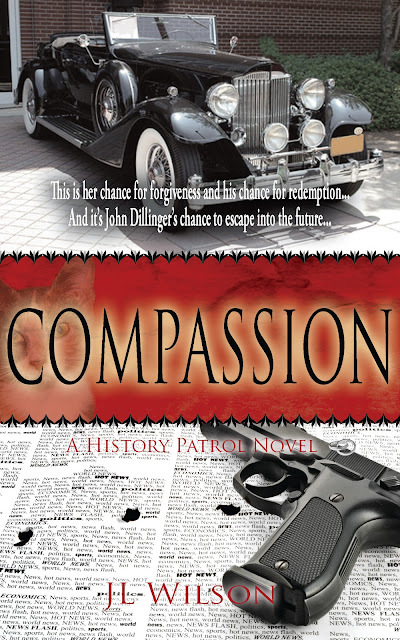 Compassion is a re-issue of the third book in my Reincarnation Romance series. The books are standalone, so you don't have to read the others to read this one. This one is set during the Great Depression. I had a lot of fun writing this because it gave me a chance to chat with my mother about her memories of the Depression and how things were back then. I tussled with my initial editor on this one a LOT. She questioned every bit of historical fact in here ("they didn't have refrigerators like that then"; "Nylons were too expensive"). It took a great deal of patience for me to go through edit after edit after edit. Then the company folded and I got the rights back, and BINGO, it was easy to edit! An odd fact about this book: the main character, Will Taupert, was the main character in one of the first books I wrote. It was pretty awful, a mishmash of the plot, but I took him out of that book and plunked him in this book. And I took bits and pieces of his personality and made L.J. Remarchik, the hero in the Fatal Writer's Conference series.